As the sun rose and began to dry the night's rain from the plants of the field, the young Field Mouse exited his burrow and tried to warm itself in the morning light. His burrow near the edge of the field had been cold and damp during the night's storms, and he was shivering and wet. The young Mouse watched in amazement as an old grey Mouse climbed down a tree on the edge of the Field and began to make his way home to his own wet burrow. The old Mouse was dry, happy, and whistling a tune between his teeth. The young Mouse ran over near the old Mouse and asked, "You spent the night in a tree?" The old Mouse nodded. "Yep, I spent the evening and night as a guest in the Red Squirrel's nest in the tree, feasting on seeds and hazelnuts. I have to admit, his warm little home in the hollow of the tree is much nicer than our damp burrows." 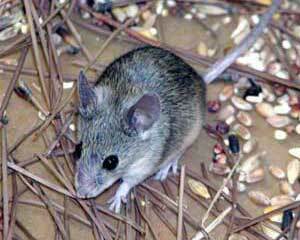 The young Mouse was still shivering as he walked alongside his dry neighbor. 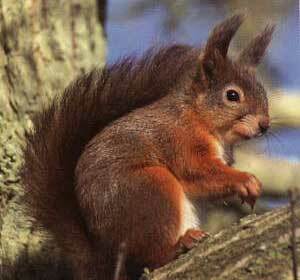 "But, the Red Squirrel is selfish with his food and sort of a grump. He never invites me to his nest. Why would he invite you?" The old Mouse stopped and faced the wet young Mouse. "I bring lots of seeds and nuts with me when I visit. You'll get many more invitations to visit the warm homes of others if you don't eat up all their food, or if you bring with you twice as much food as you plan to eat yourself. A generous guest is always welcome in other's homes."